A blog for those following Curly Girl (including modified) who have wavy or curly hair. Loving her hair for the first time! I admit it. I saw how thick this was and thought it would be impossible to get into my daughter's hair. In my hair possible since its so fine and thin I can make anything get in..I don't need slip. Imagine my surprise when not only did it go into T's hair easily but it took just 2 tsp to do one whole section of her hair (1/2 her head). That's amazing. If I told you how much we spend on conditioners for her due to how much we use you'd be flabbergasted. That's how much it takes just to get a comb through T's tangles which are legendary. The slip on this puppy is just astonishing. The comb glides through like a hot knife through butter--seamlessly, effortlessly. Even my daughter asked what I was using (normally she just rolls her 13 year old eyes and does the teenage sigh that says I in no way could be as cool as she is LOL). Bravo! This can be used as a rinse out or DT. For my hair it is so moisturizing that I would only need to DT about every 2 weeks (vs. PT every week minimum). For Tahia's hair we would use this weekly especially in dry times like the fall when we get Santa Ana's. It worked just as well as a rinse out with her when we tried that. This DT is rich, thick, and extremely moisturizing. I think every texture/type of hair would love this stuff--on this we could all agree it's a definite winner! Add that to the chocolate caramel latte scent--pure HEAVEN in your hair! Makes me want to run to Starbucks for a carmel machiatto! P.S. This stuff comes in a jar. NO WAY for this to be bottled...way too thick. Think Aubrey Organics products times 5! hi--i've been reading through your blog and finding lots of interest. I wonder if you could do a post on your daughter's hair? I have 13yr old, too, and we are trying to figure out how to do her hair (curly, fine, not sure about porosity but she frizzes really easily). I can make my hair look great, but the same products don't work for her and it is an incredibly annoying process!!! I'd love to find out how you guys worked out her hair care...like, how much you help in the process, how much she does herself, etc. (or can you point me to somewhere that covers this...it's hard to read through SO MUCH info on nc.com and get to the nugget). Thanks in advance! I'll blog this weekend with how we work her hair! Stay tuned! Her hair is fine to coarse..lots of frizz! You can find it on etsy. If you search sellers for SpiralSolutions it will come up. It's also posted in the Spiral Solutions Products review piece here. She may be currently out of it..but I think she said she expects to have some this week. It is awesome! I consider myself a penguin. I'll never be a placer in my age group in running but I love running and racing and reviewing. When you add in doing this all on a plant strong diet - it just makes it lots more fun! 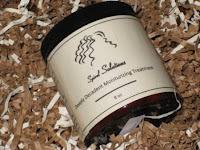 Curl Junkie - Natural Hair Care for all types of Curly Hair! Using Curl Junkie in Low Dew Points! The Long and Winding Road... to natural curls. Is the CG Emperor naked? May I have a word?